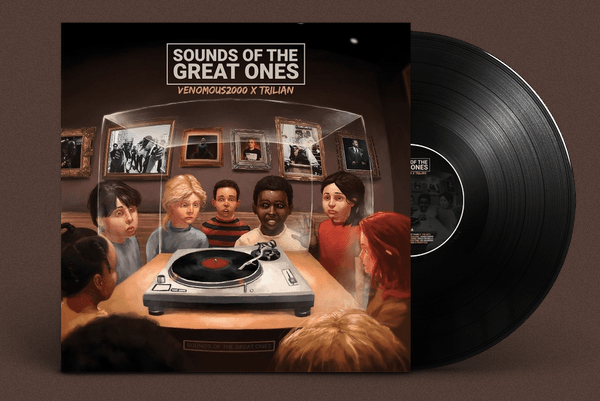 New Jersey's Venomous2000 has a new album with Serbian producer, Trilian, called 'Sounds Of The Great Ones.' The album is a great piece of hip-hop that I highly recommend; it features The Artifacts, Cella Dwellas, Reks, Inspectah Deck, Tiye Phoenix, and more. For a sample, check out their track 'Know Things' below, featuring DJ TMB. They are running a campaign to press up a limited edition vinyl release, so vinyl heads: you'll want this in your collection, support it HERE.